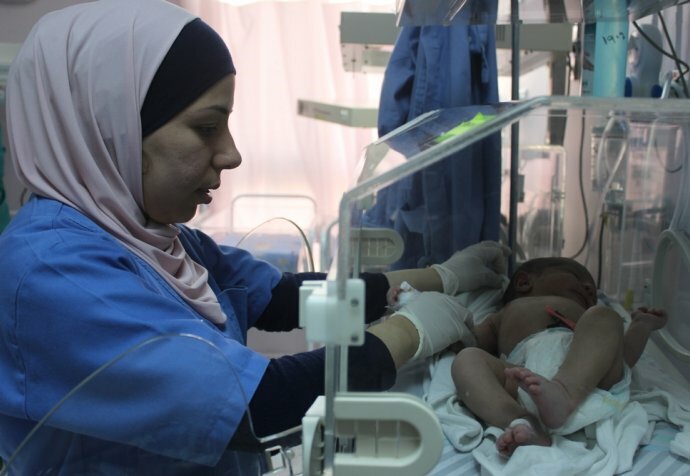 The Irbid project in Jordan was set up to respond to the Syrian refugee crisis by providing free maternal and newborn healthcare for both the refugees and vulnerable Jordanians. Médecins Sans Frontières also runs a mental health program for children showing signs of distress from war and displacement. The objective of the project is to cover the health needs of refugees in host communities in Jordan who have no access to such care elsewhere. Jordan is now home to more than one million refugees fleeing Syria. The neonatal unit has recently expanded to care for 16 newborns. 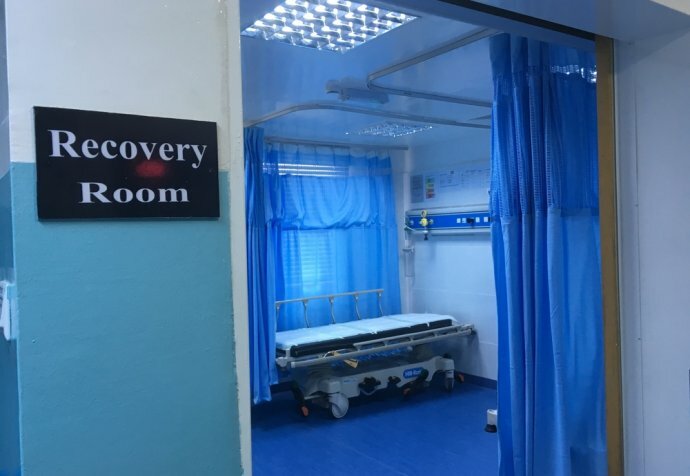 We have the capacity to foster the development of premature babies as well as treat those babies that are sick due to sepsis (severe infection) or jaundice for example. "The objective of the project is to cover the health needs of refugees in host communities in Jordan who have no access to such care elsewhere"
The greatest rewards were sending babies home to their families at the end of the day. Seeing mothers who have been so frightened and so unsure bonding with the nursing staff, sharing in our successes, supporting each other and smiling when the day comes that they can go home. The greatest challenge for me was being aware that there are thousands of Syrians in refugee camps and knowing that these women are having babies and need healthcare. Getting access to these women and offering them a safe, free place to have their baby is not as easy as it would seem. "The greatest challenge for me was being aware that there are thousands of Syrians in refugee camps and knowing that these women are having babies and need healthcare"